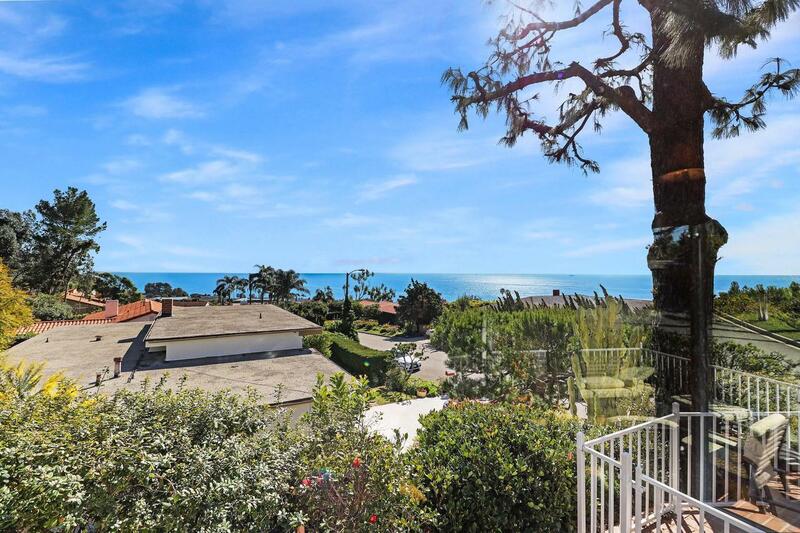 Gorgeous Ocean and Coastline Views! 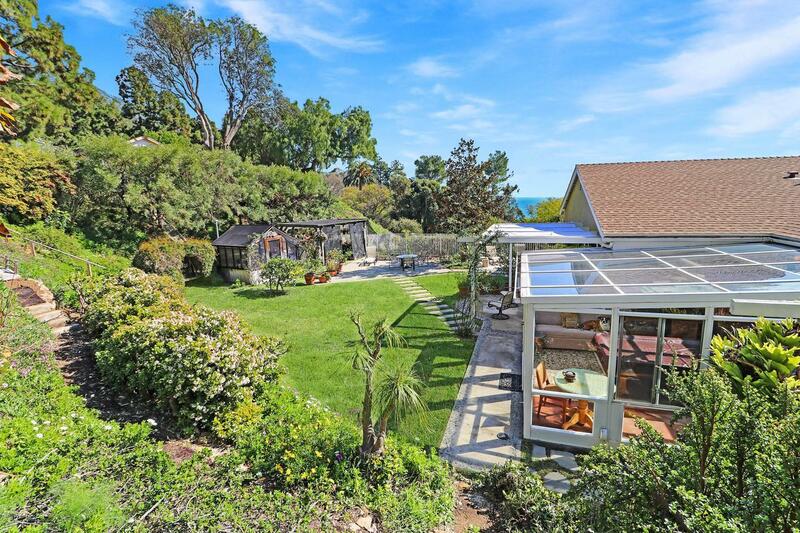 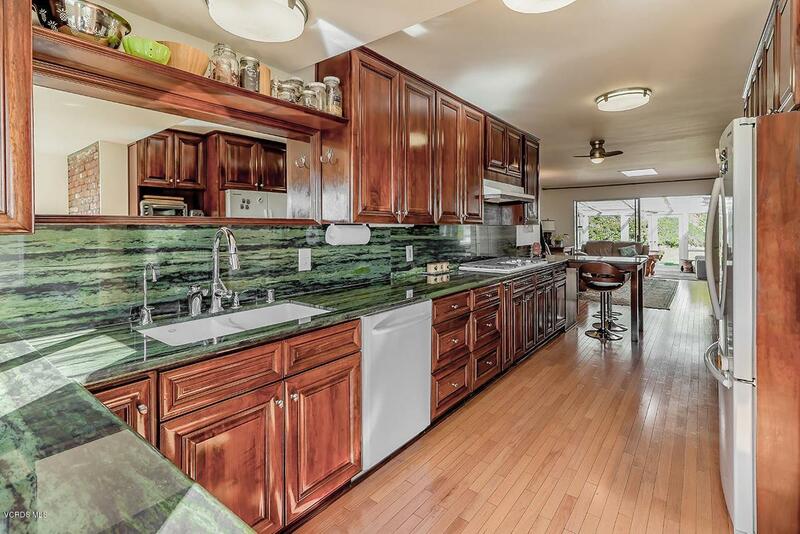 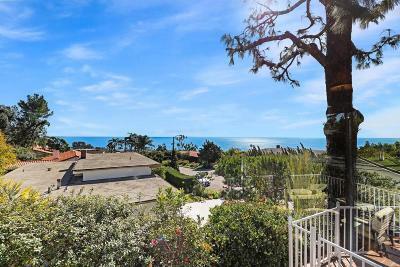 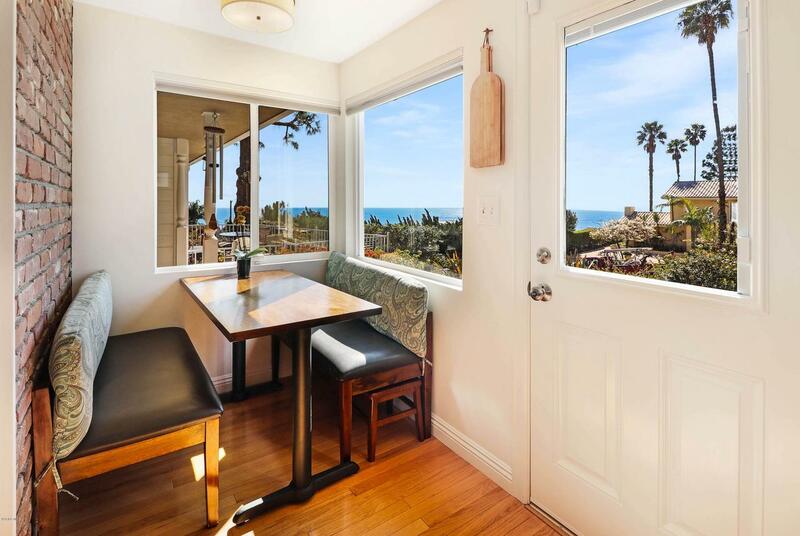 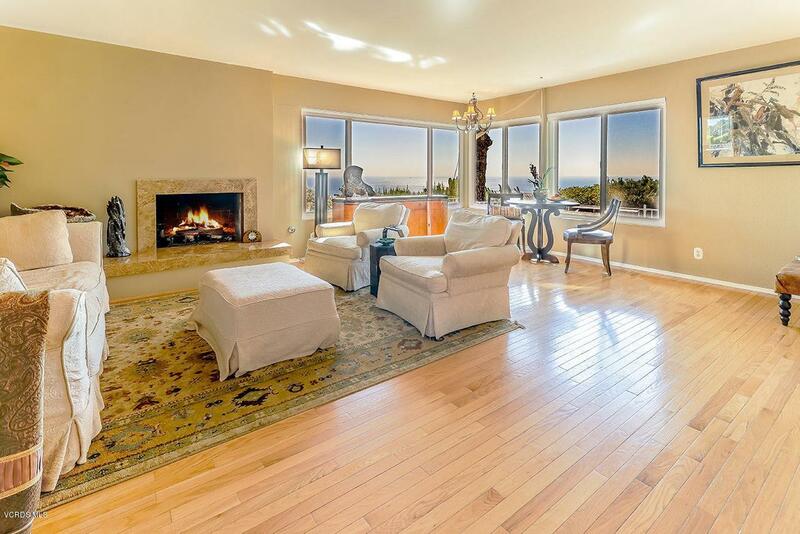 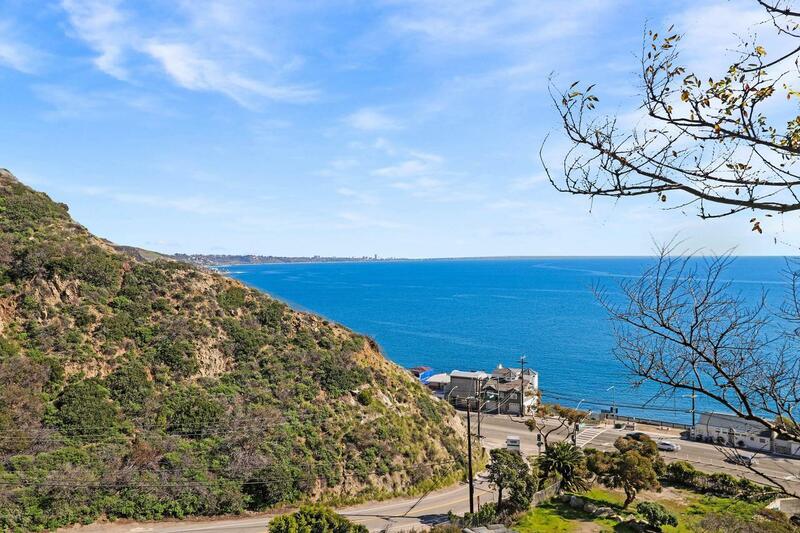 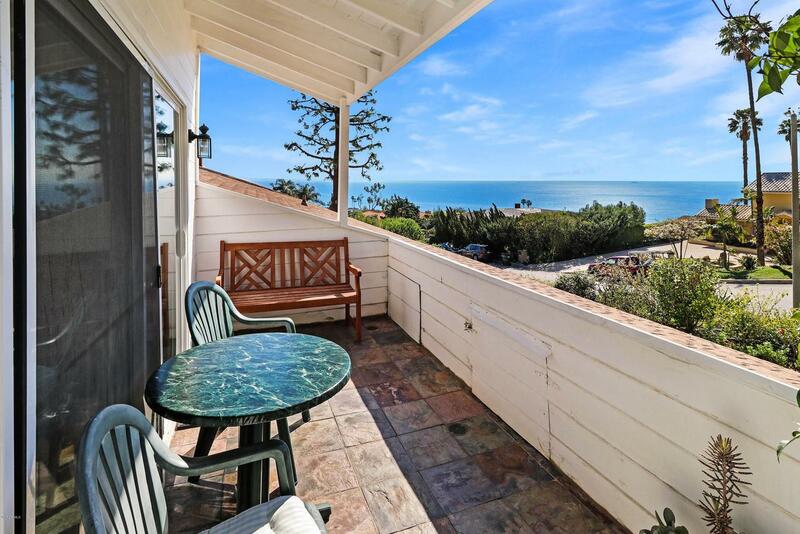 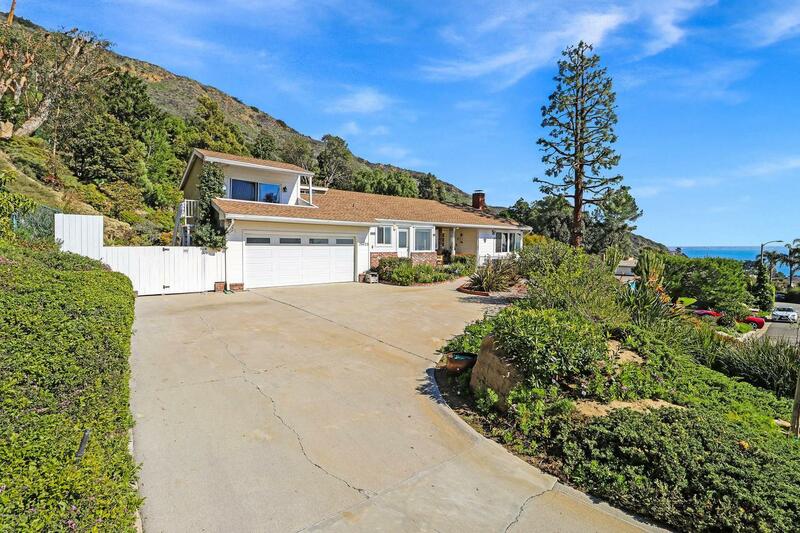 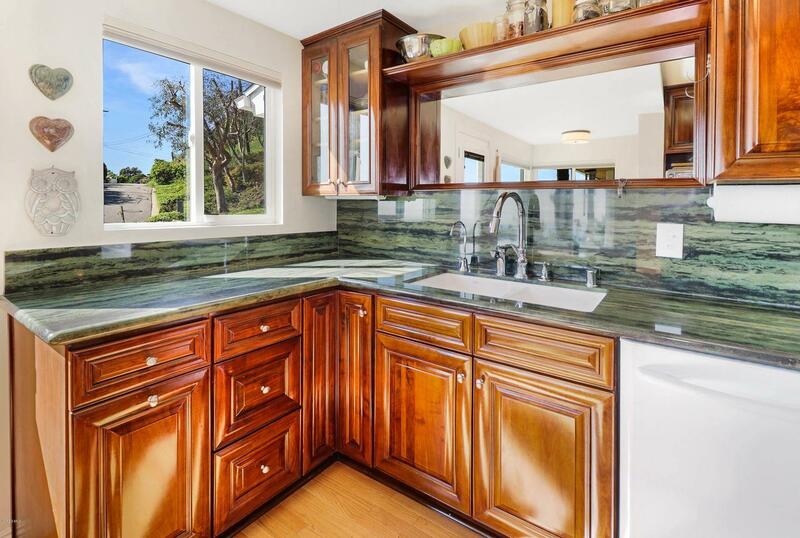 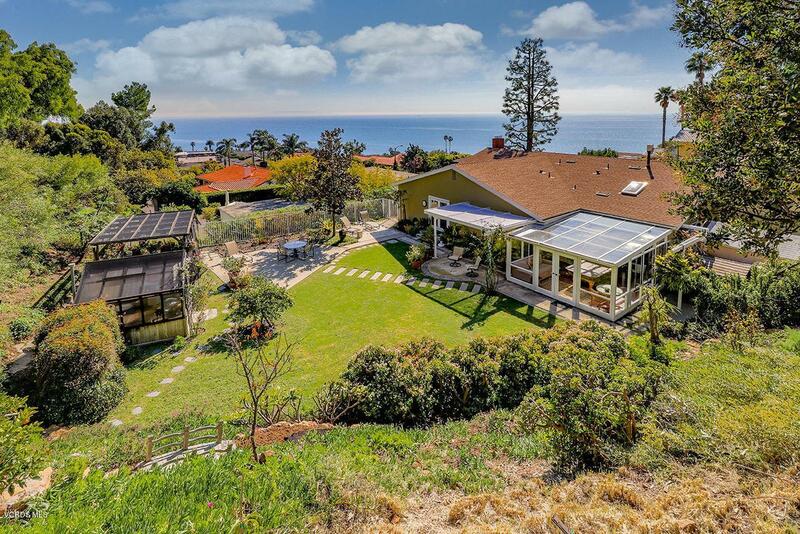 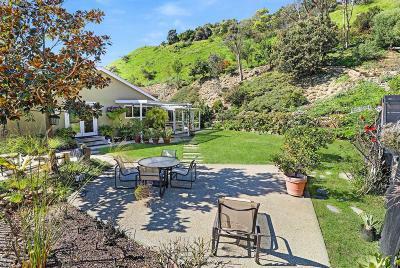 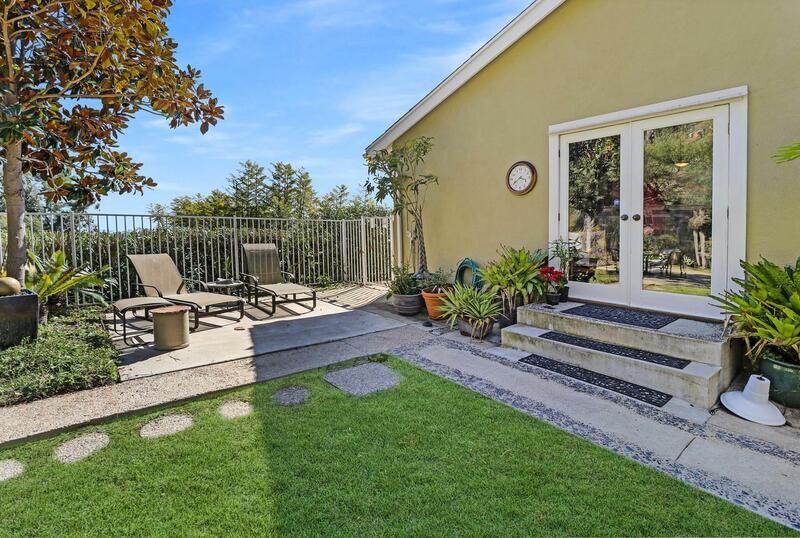 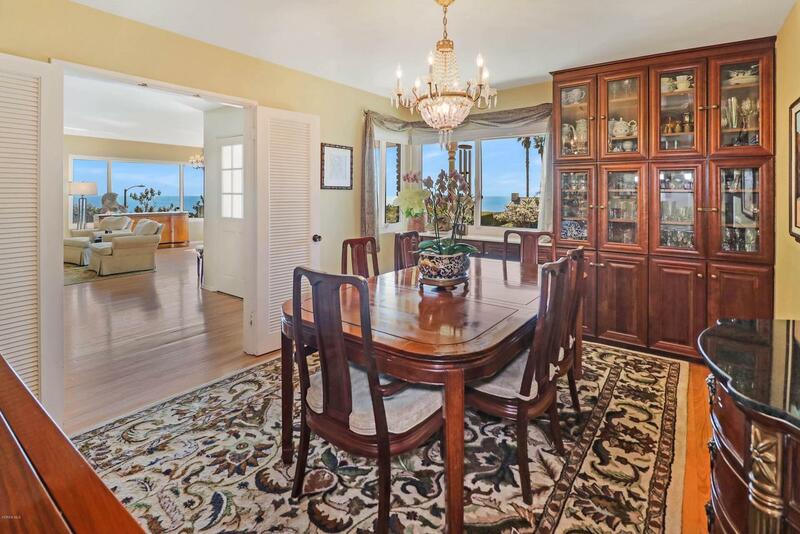 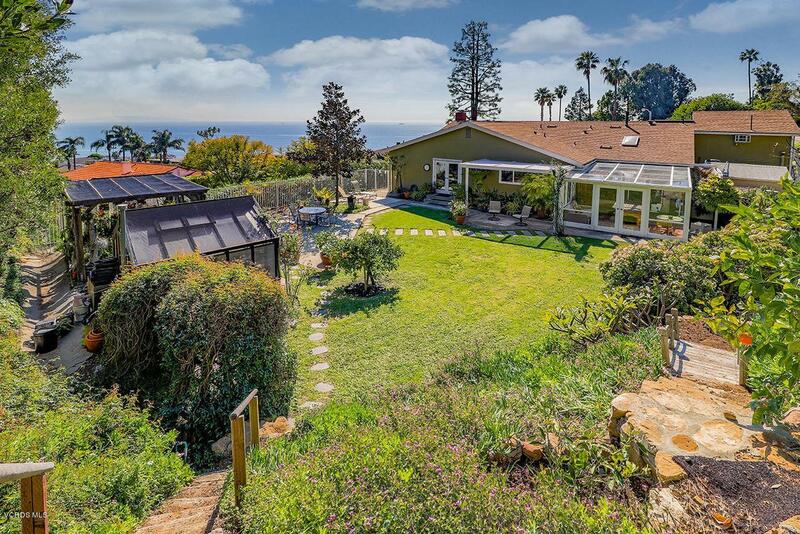 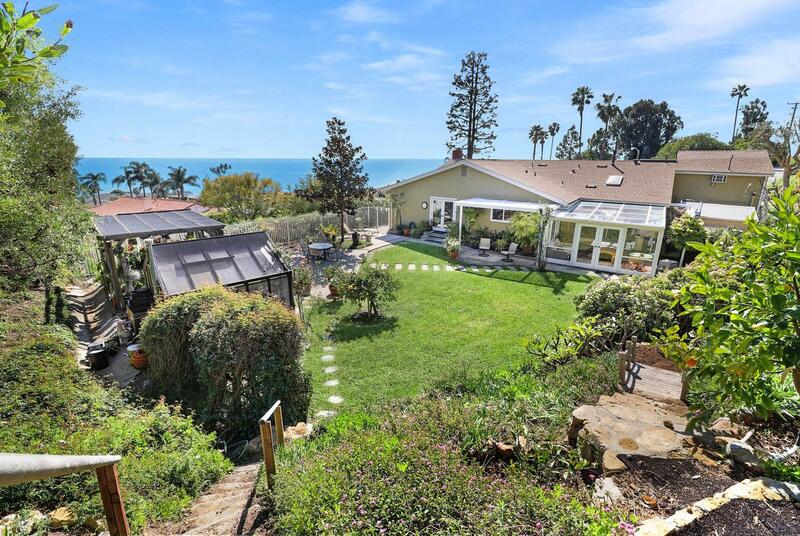 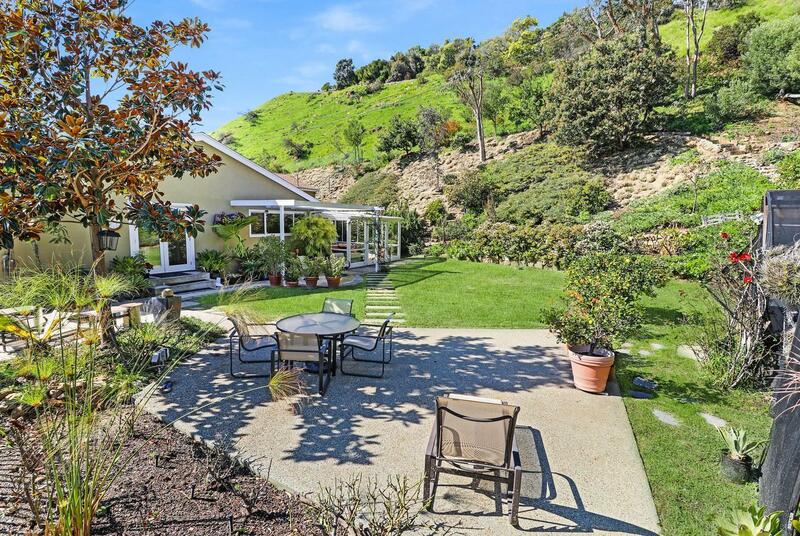 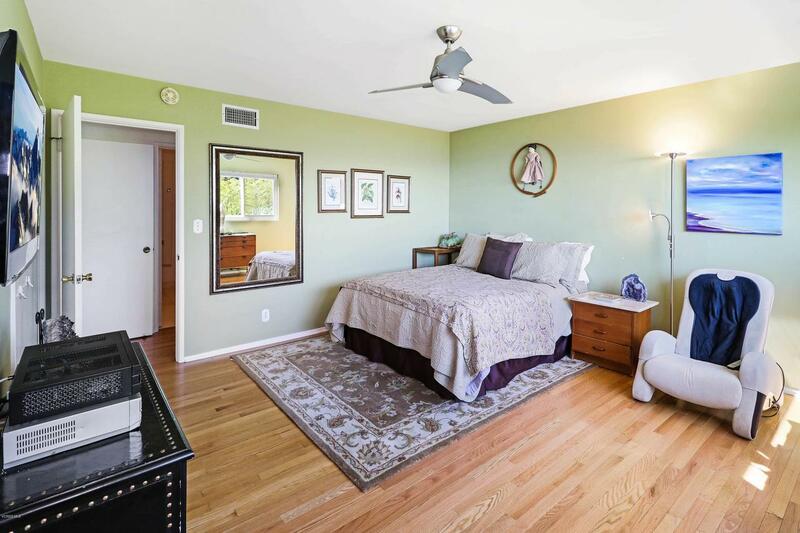 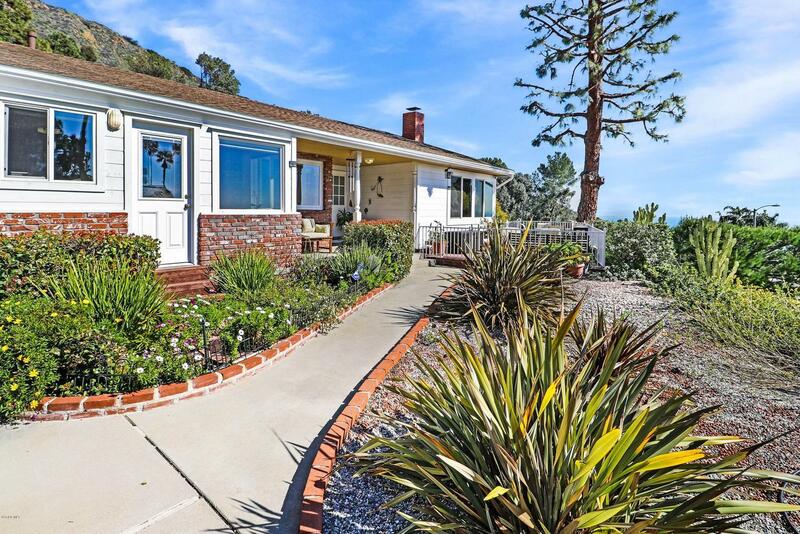 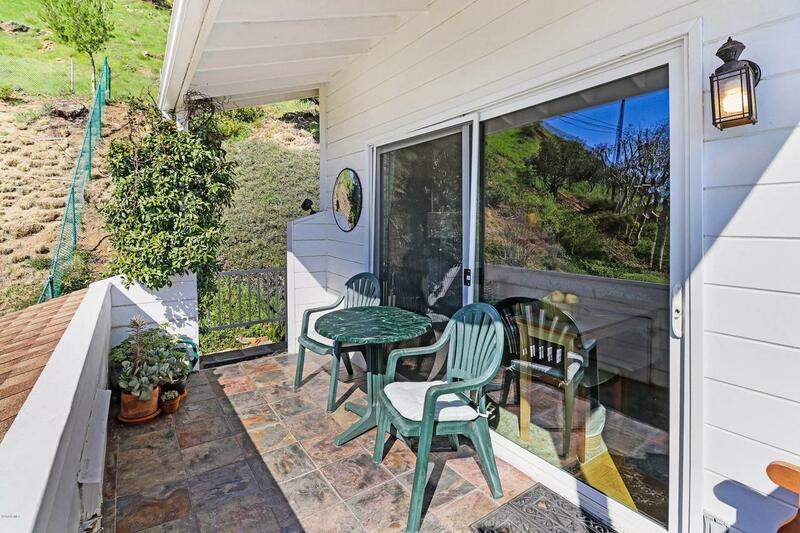 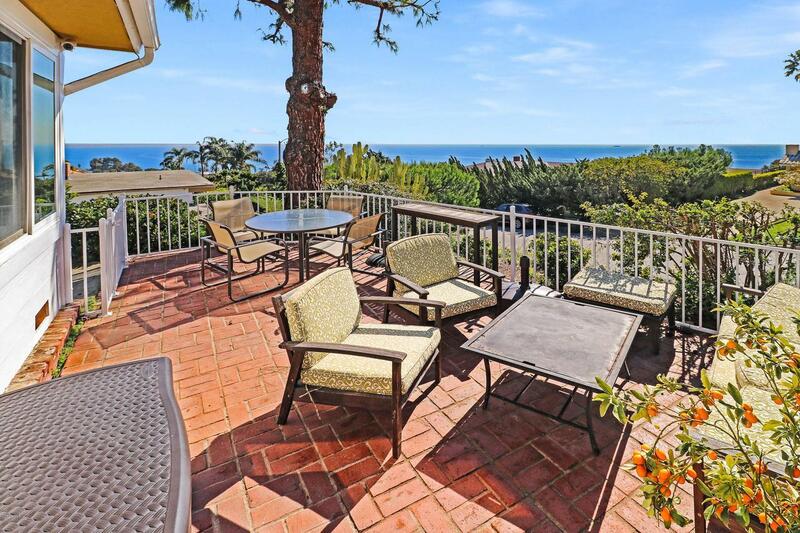 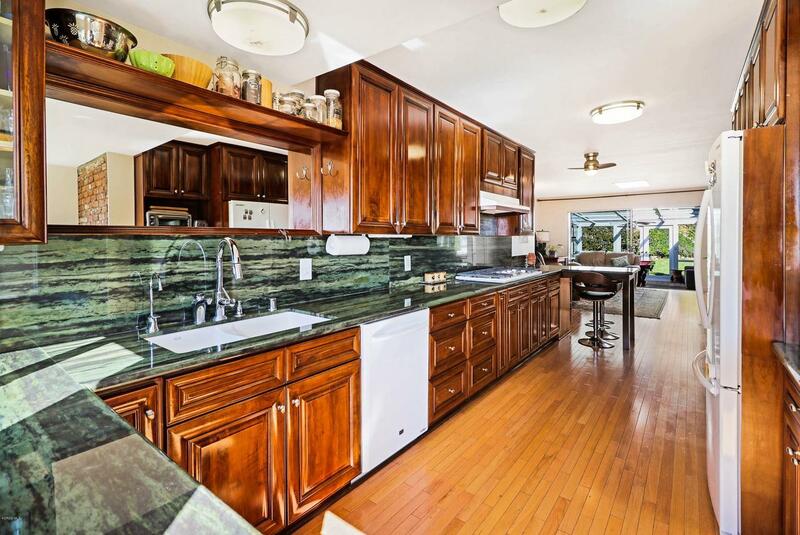 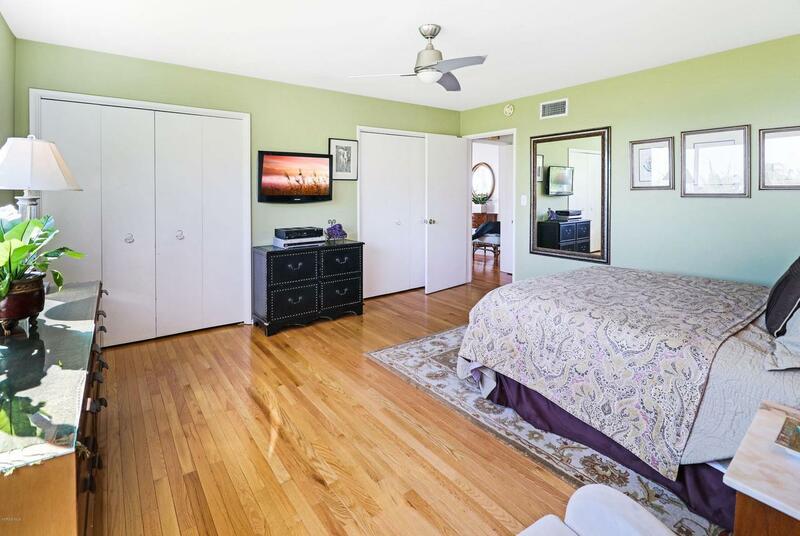 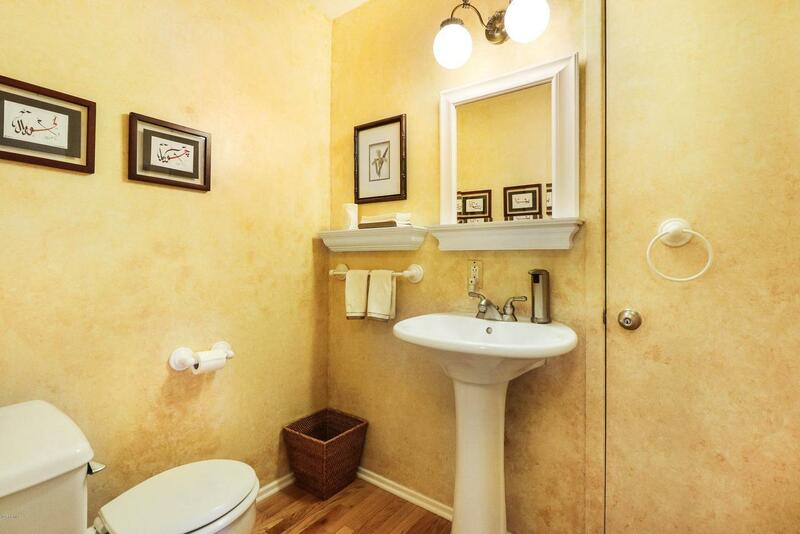 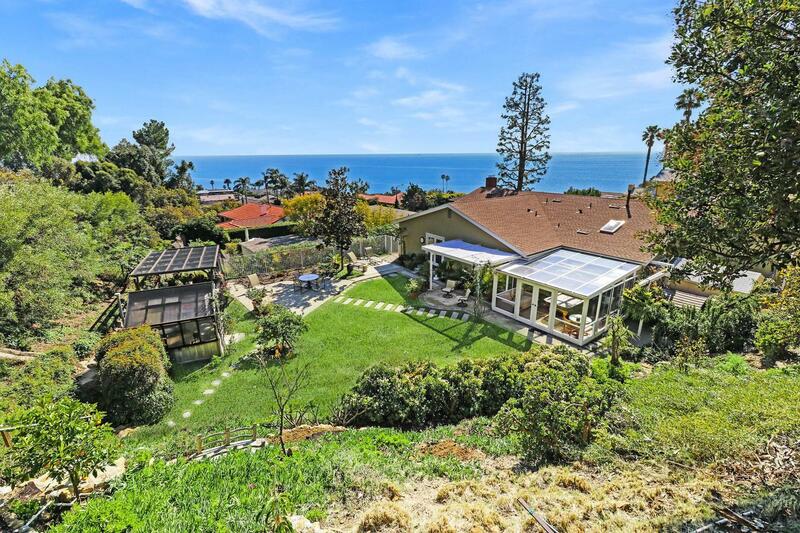 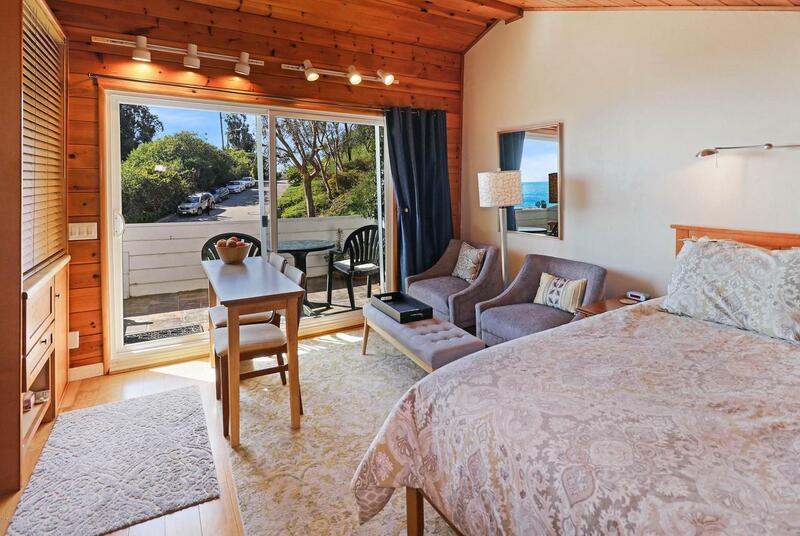 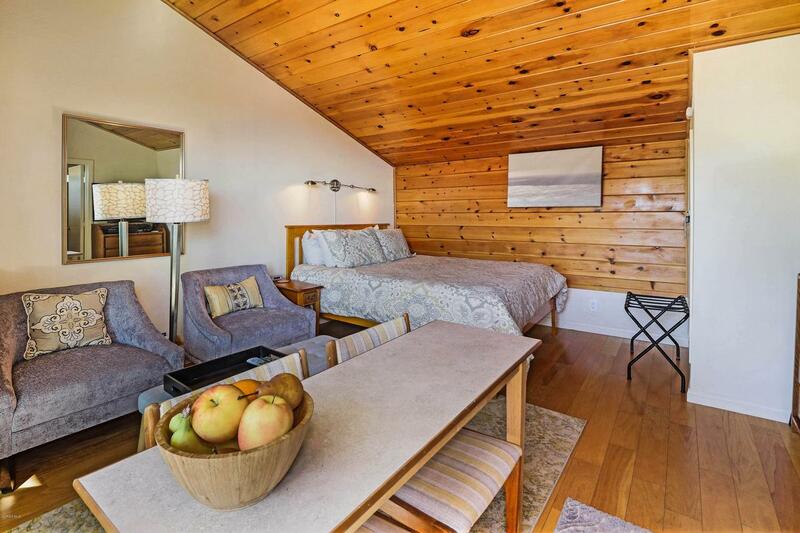 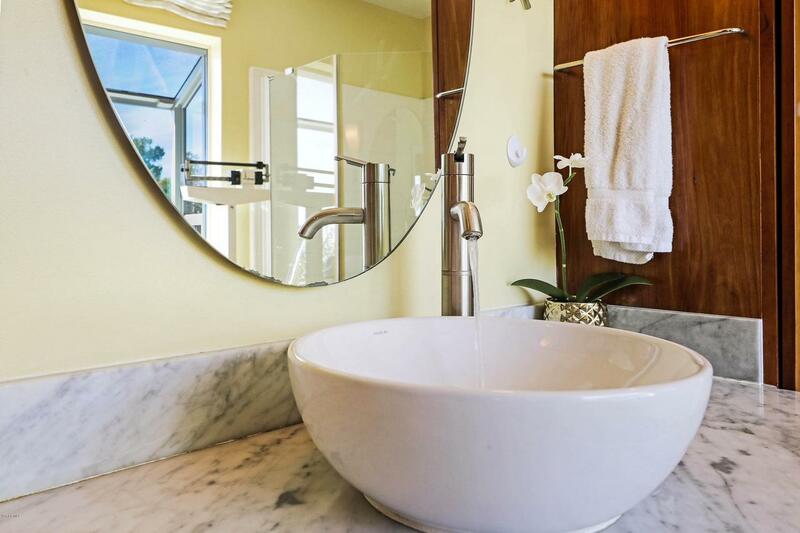 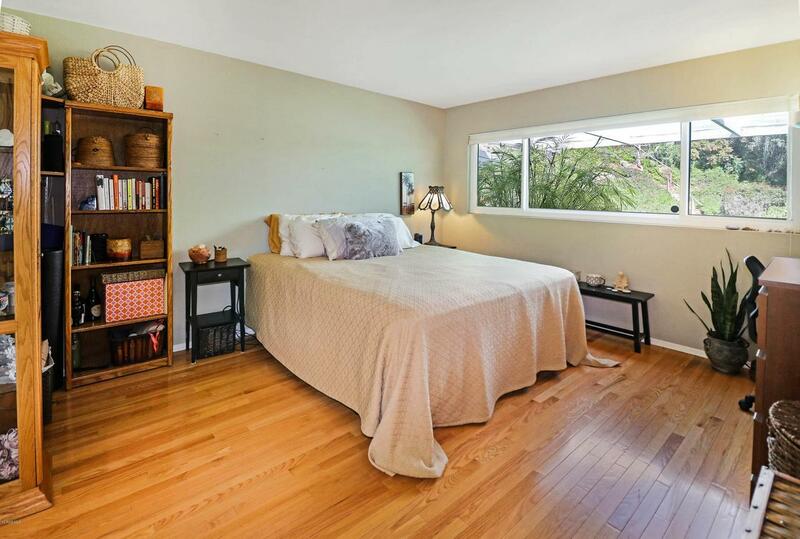 Minutes to the sand.Beautiful Malibu Home includes 4 bedrooms, 4 baths on over one acre lot! 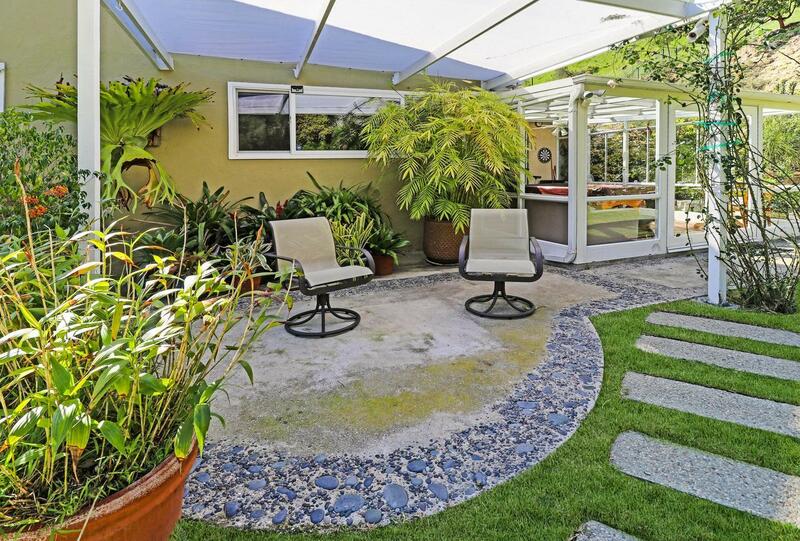 Unique setting in established neighborhood. 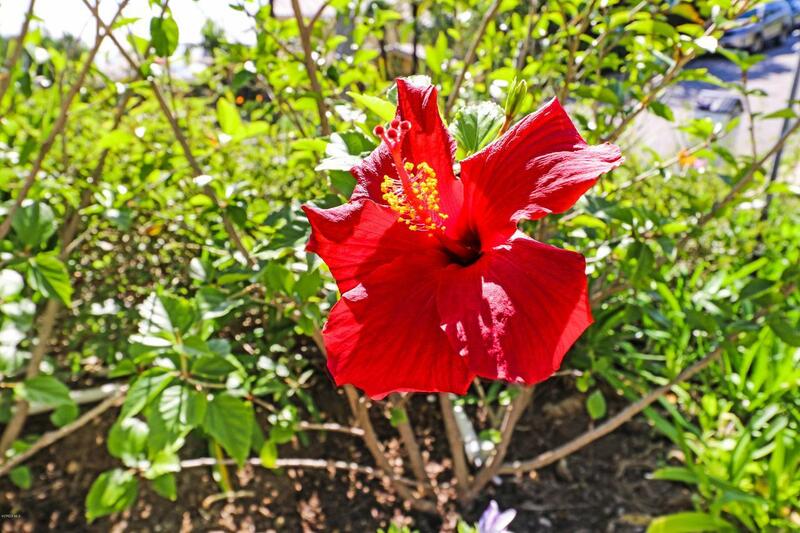 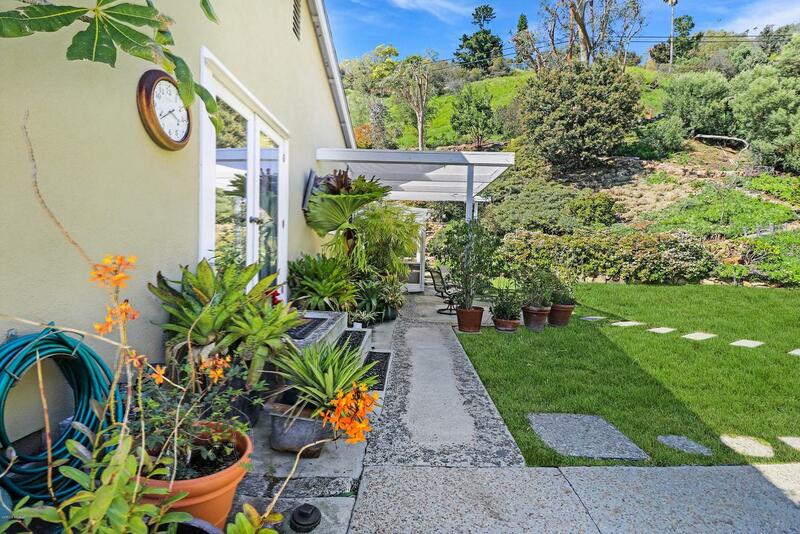 Home, guest quarters, gardens and greenhouse situated on flat parcel nestled into lush landscape for complete privacy.White Oak hardwood flooring throughout! 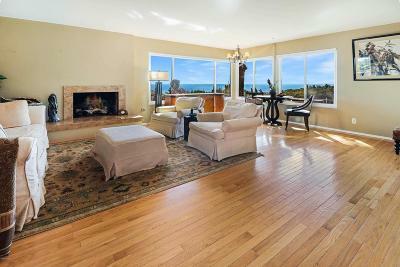 Formal living room with fireplace with ocean views. 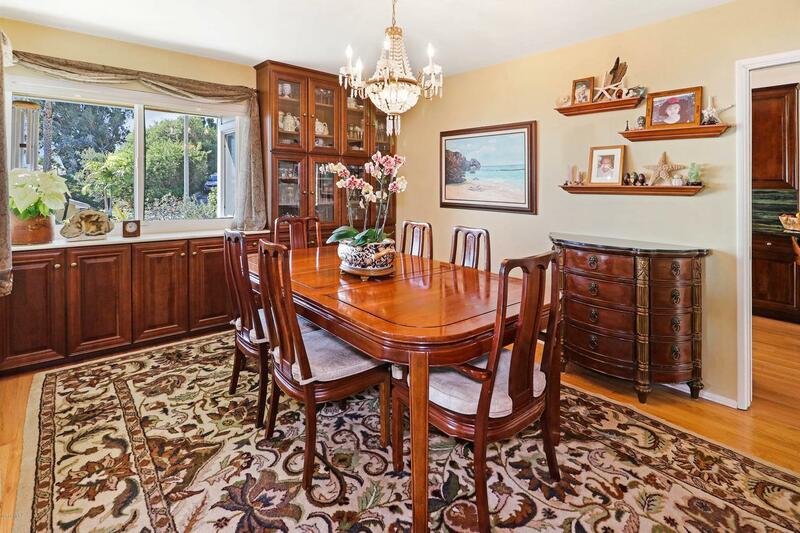 Dining room with walnut built-ins. 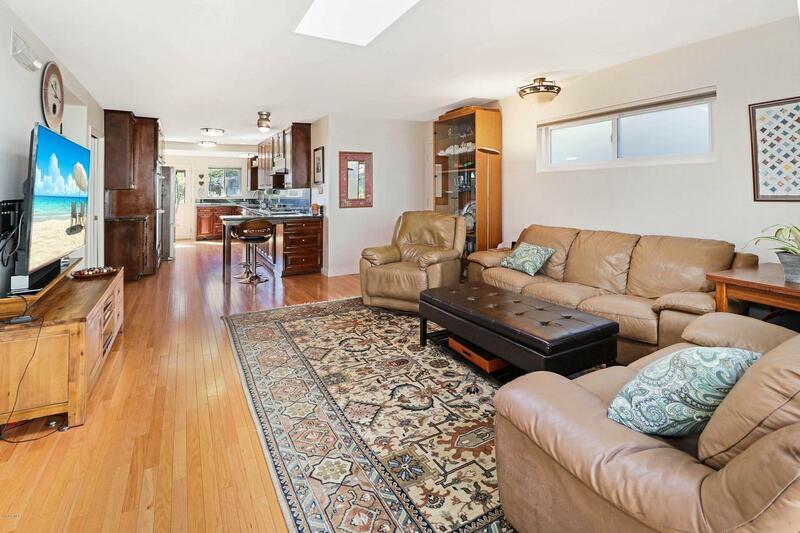 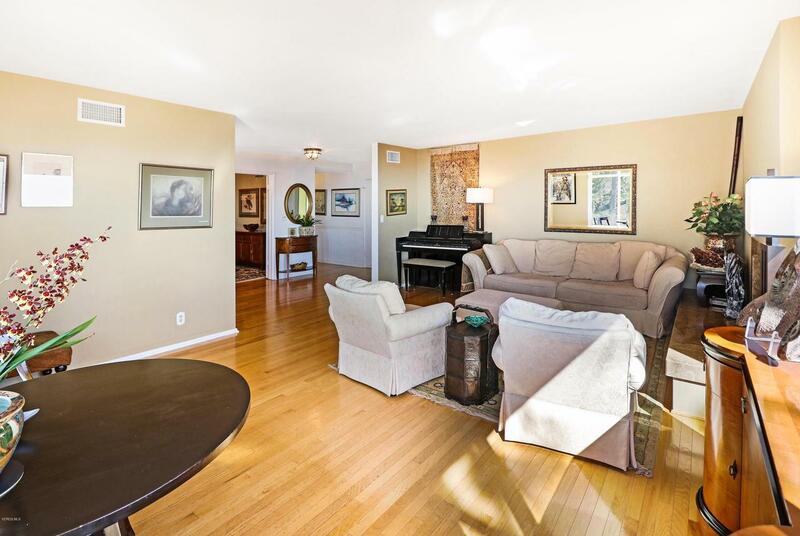 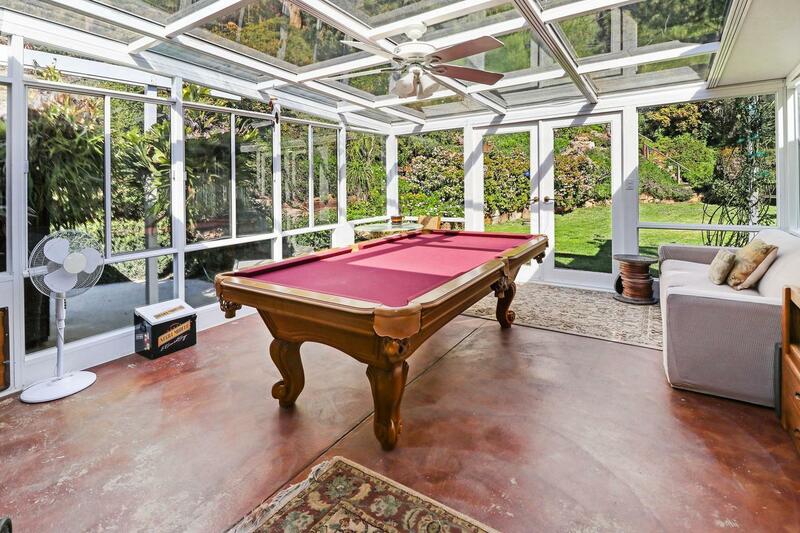 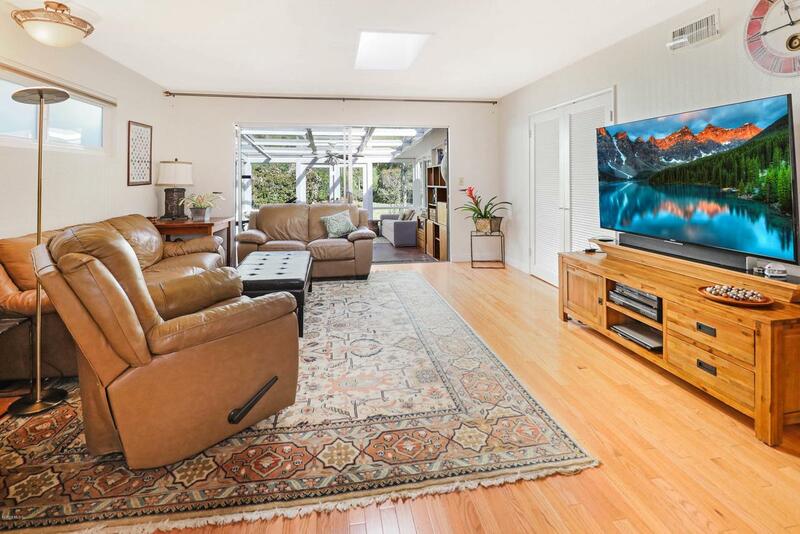 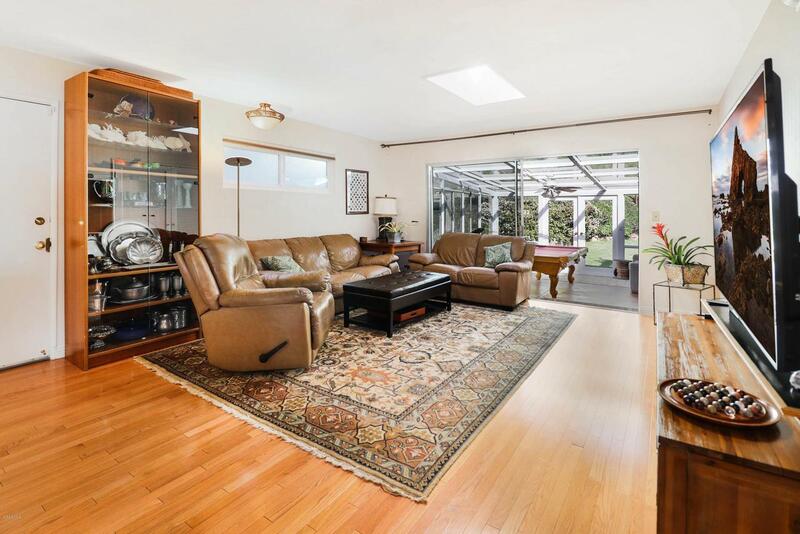 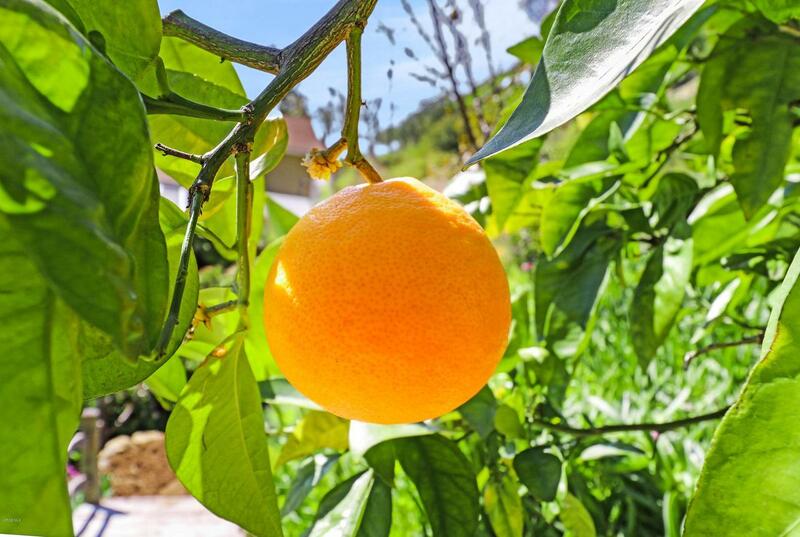 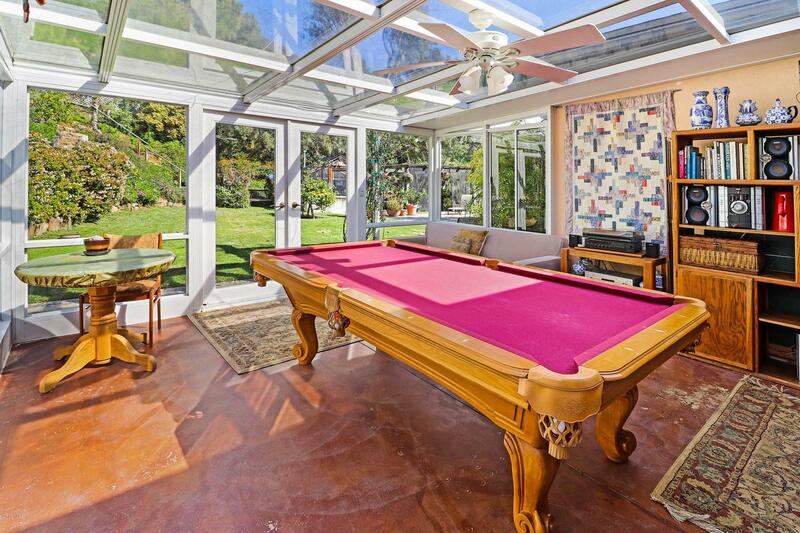 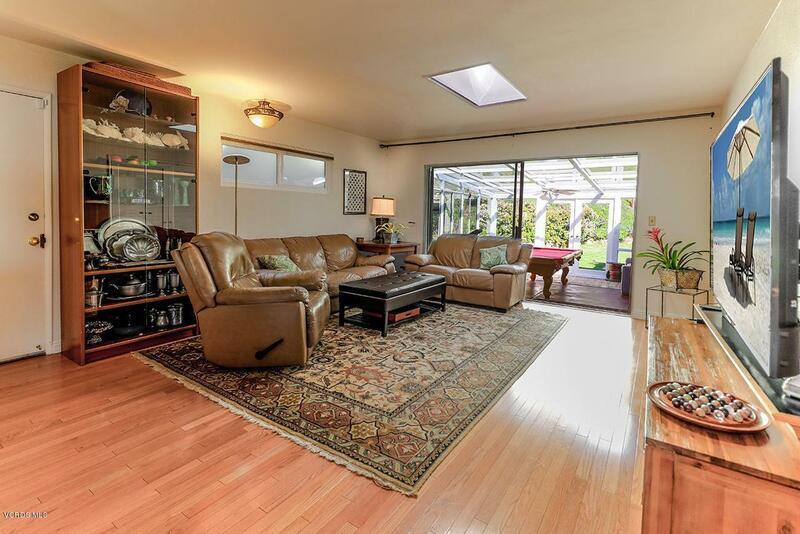 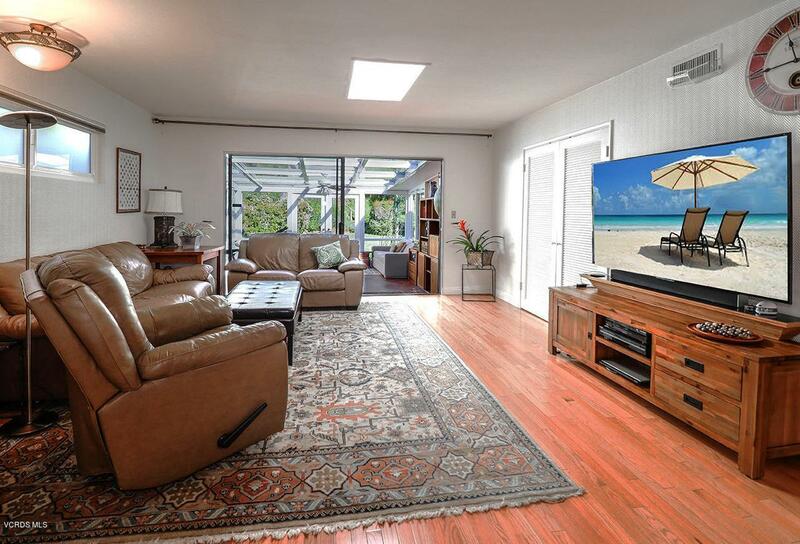 Sunroom with amazing views of private yard of gardens and fruit trees. 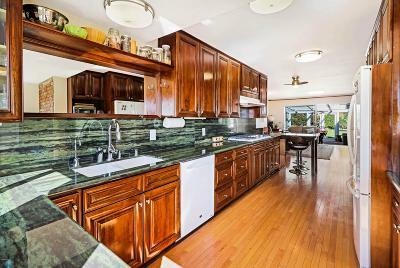 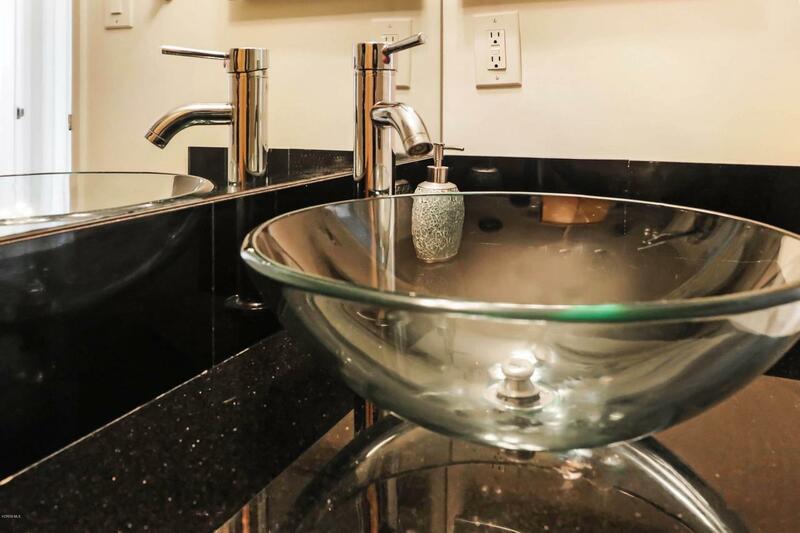 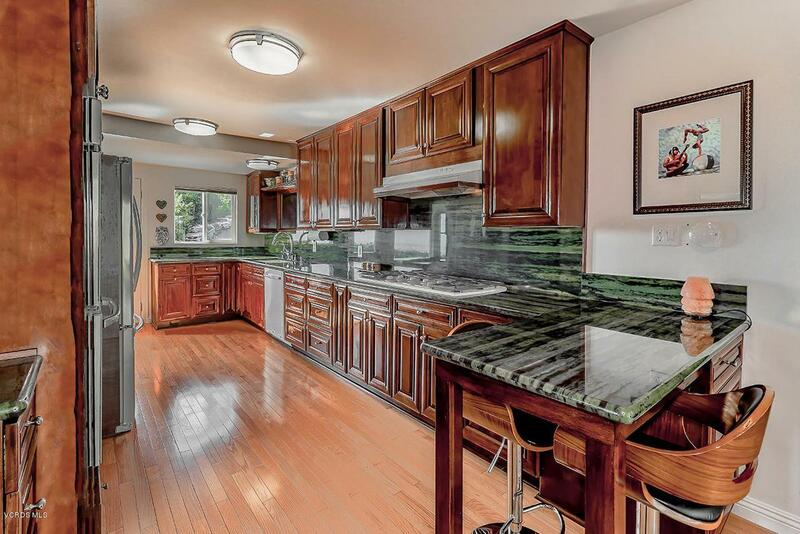 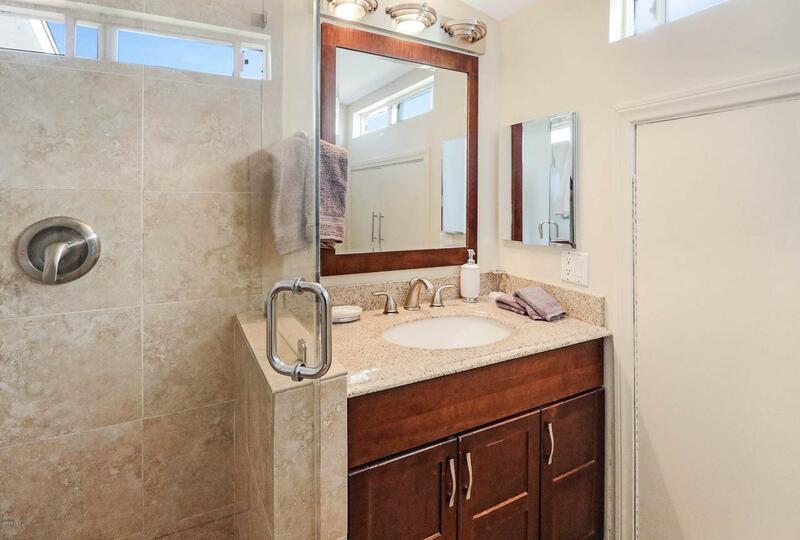 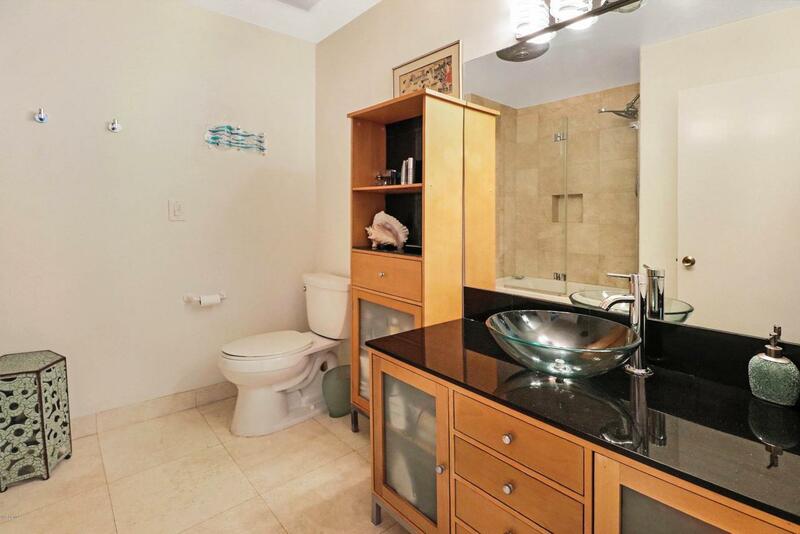 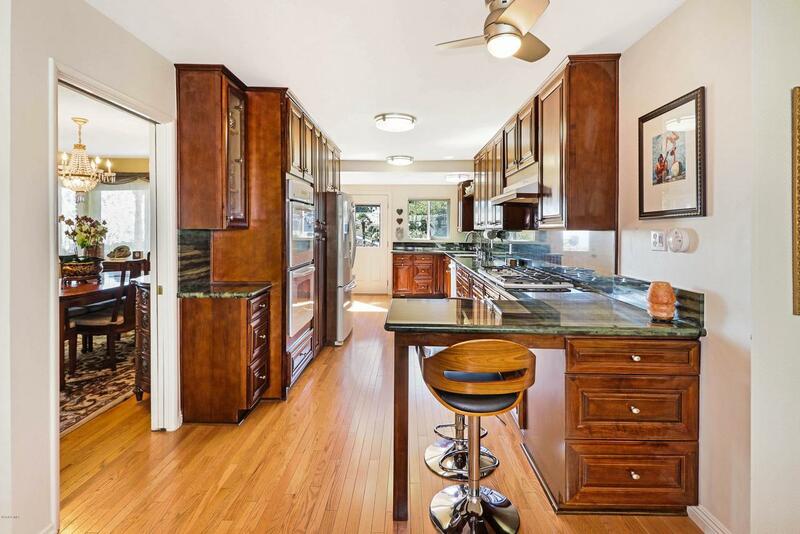 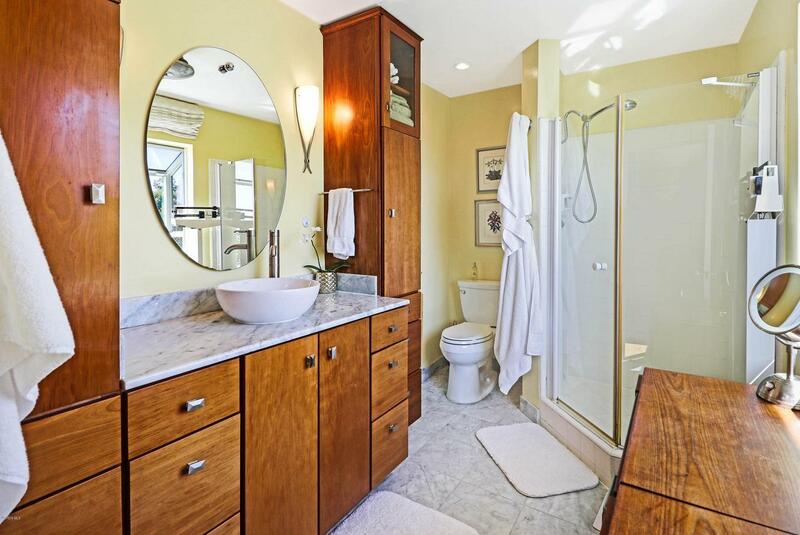 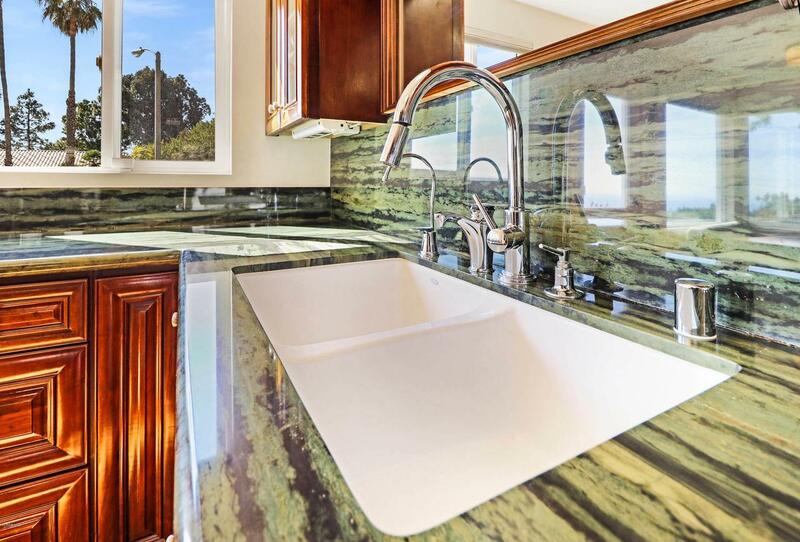 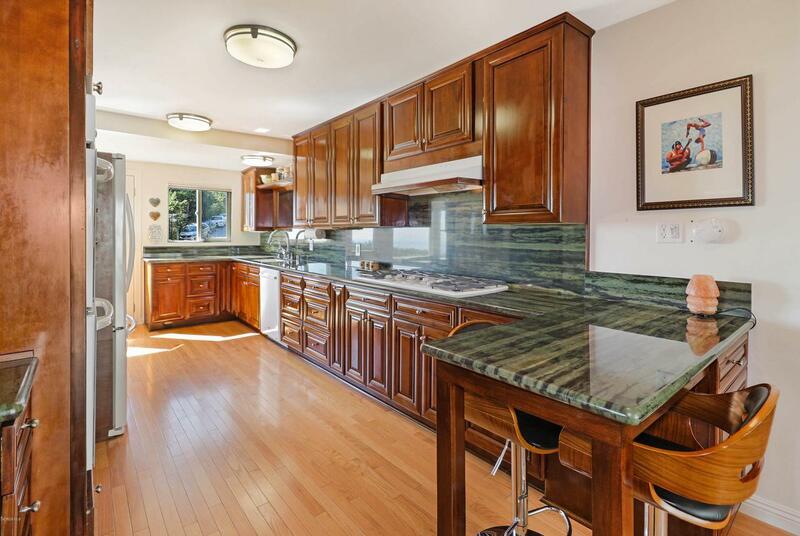 Kitchen and bathrooms remodeled with custom hardwood walnut and birch cabinets, granite and marble. 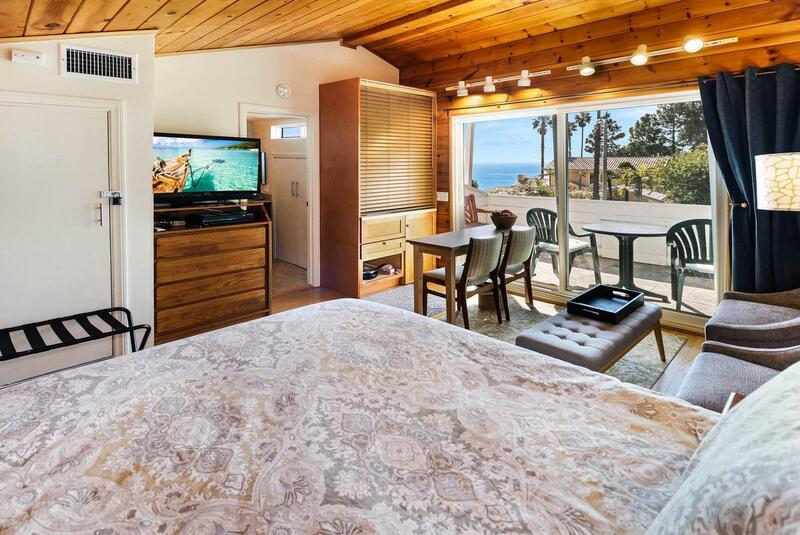 Ocean view master suite. 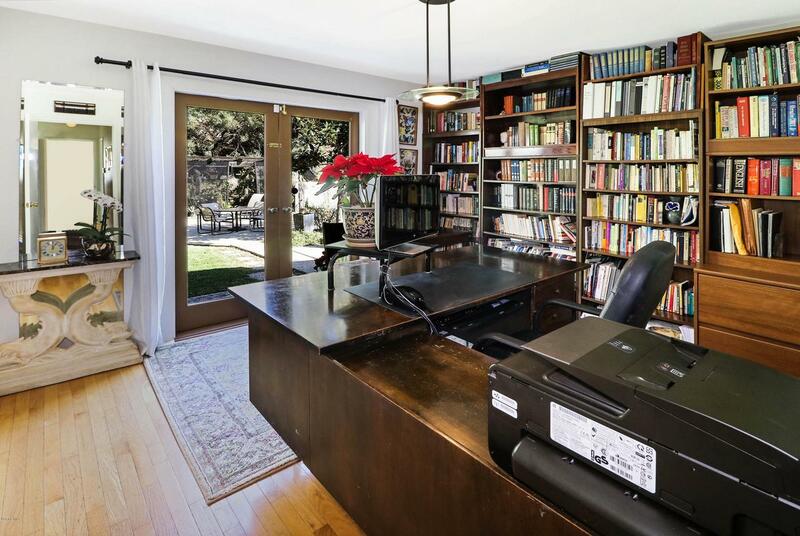 Office and oversized spacious bedrooms. 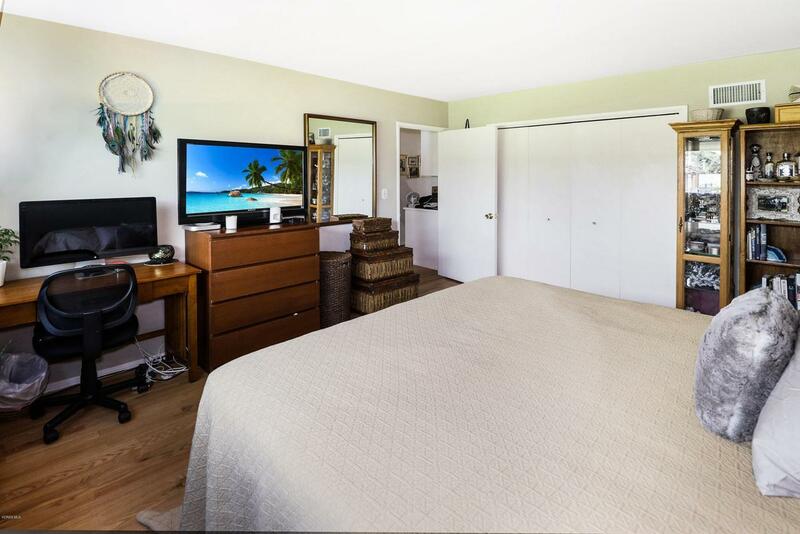 Newer roof, newer furnace and air conditioning. 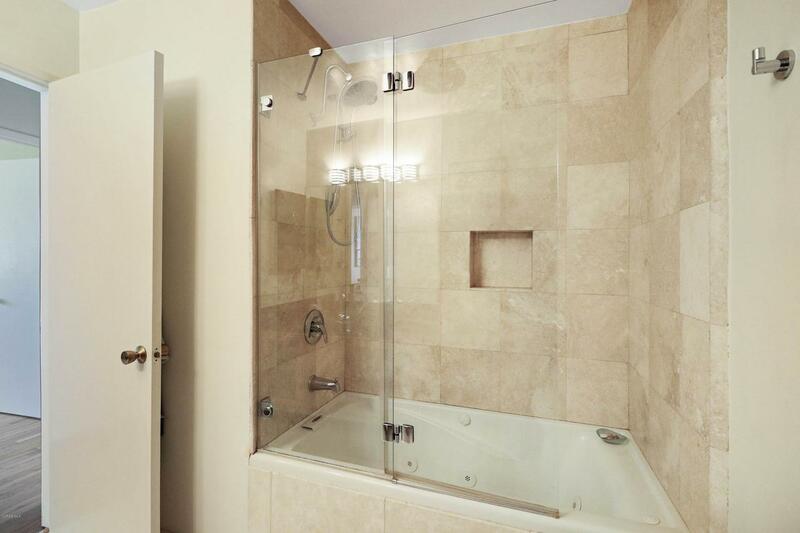 Cooper plumbing, newer water heater, windows and security system. 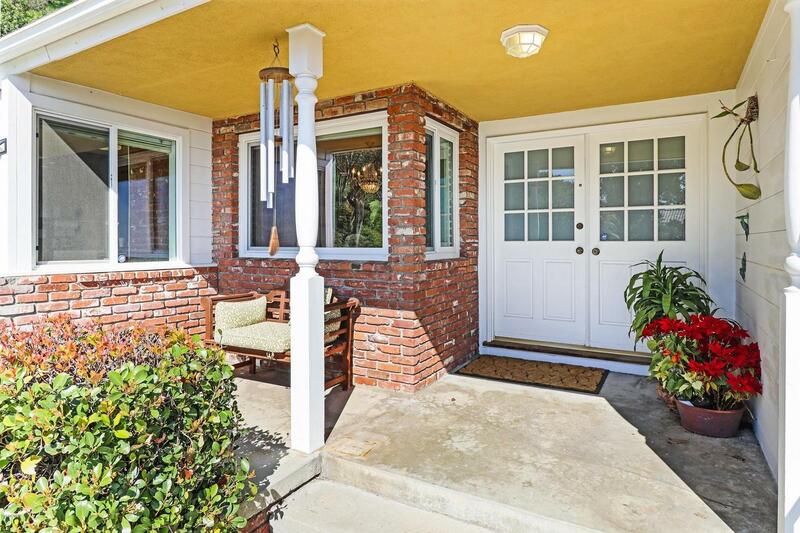 Guest quarter currently used as Arbnb.Ability to add second story addition. 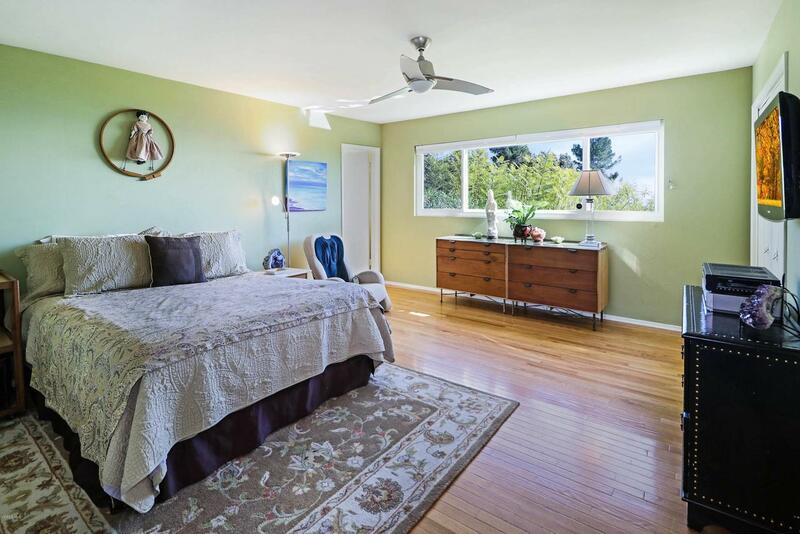 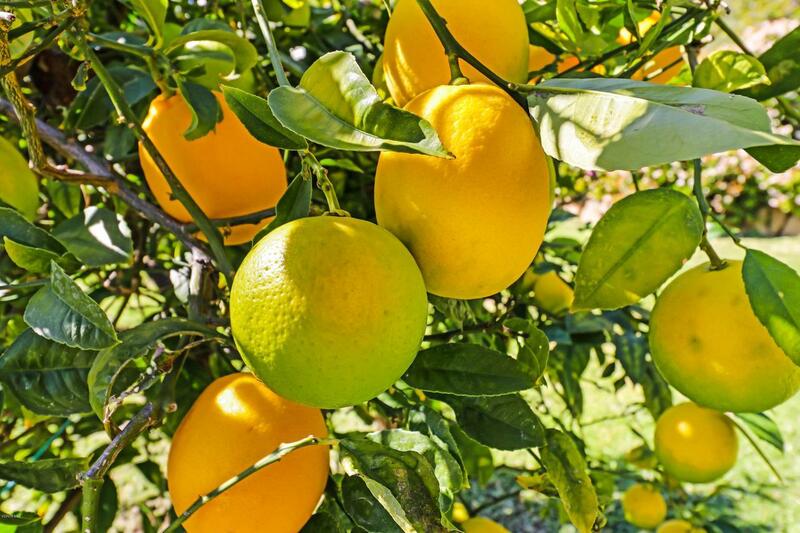 Variance options available for buyer. 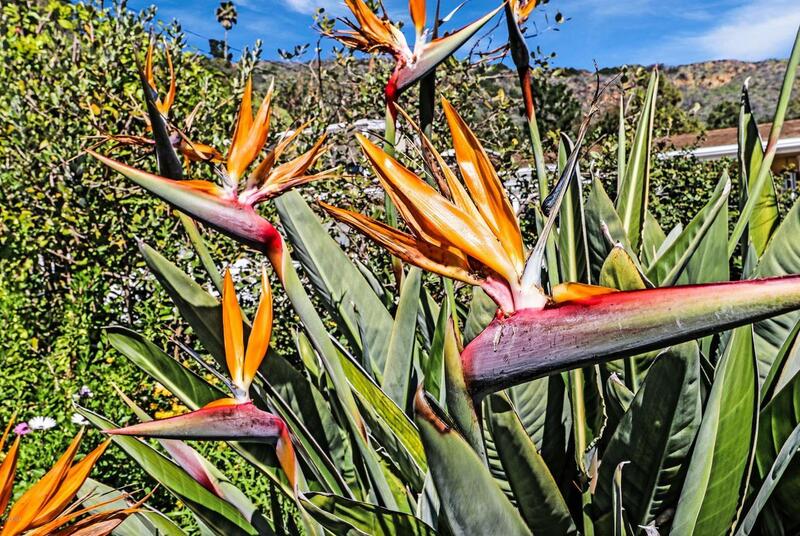 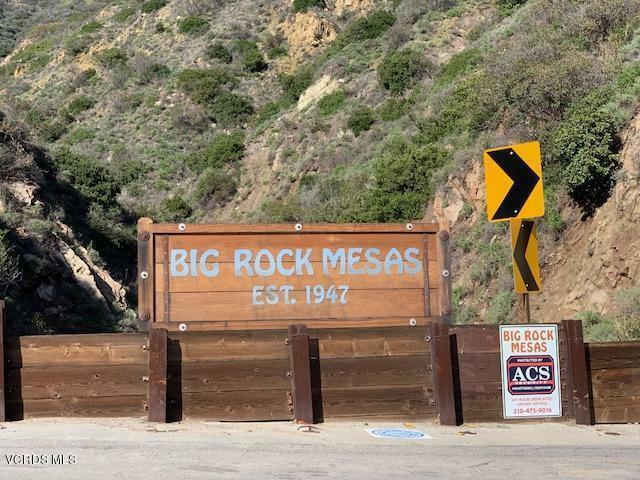 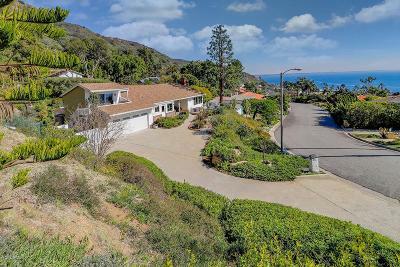 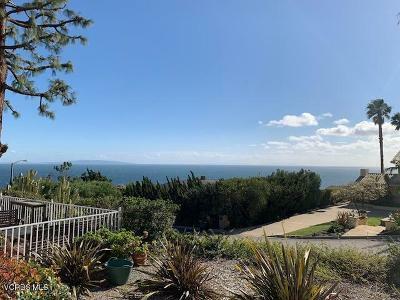 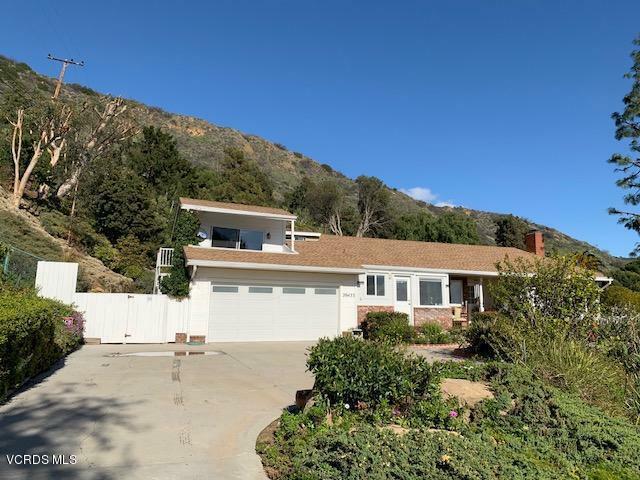 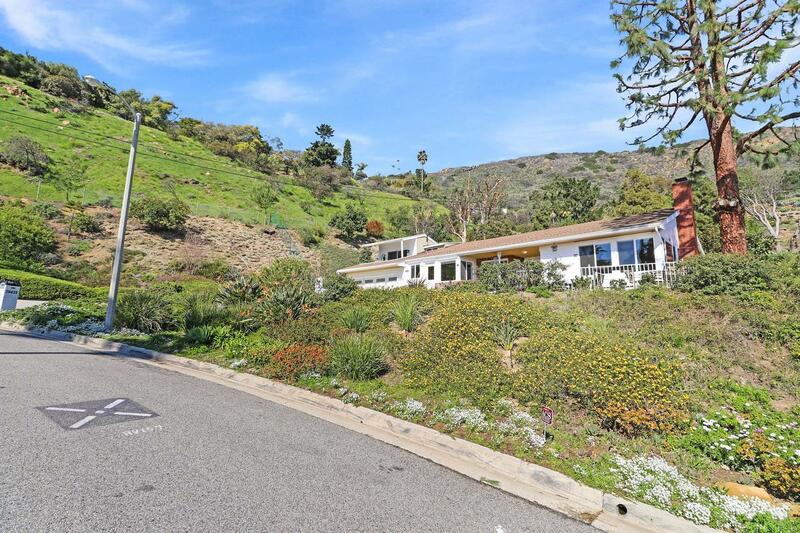 Moderate elevation two minutes up the road to established Big Rock Community .Minutes to Pacific Coast Highway, Topanga Canyon and Sunset Blvd .Built and maintained with pride of ownership .Rare find and must see to appreciate!